The NEW AlkaViva Delphi H2 water ionizer NOW has 9 solid ionizer plates and makes even MORE hydrogen for you! With its unique dual filtration it also now comes with a lifetime warranty! 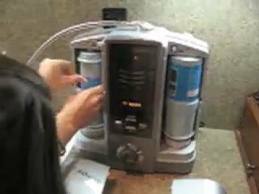 This beautiful state-of-the-art water ionizer comes with superb filtration capabilities - best on the market! AND, another NEW reason to love the NEW DELPHI H2, we have CLEANING filters available for your annual deep cleaning! No garden pump, vinegar or citric acid needed! Simply pop in the cleaning filter and restore your Delphi H2 to like-new condition! NEWEST IONIZER with 9 electrode plates gives you increased ORP (negative charge/antioxidant power) - this is the NEWEST in the AlkaViva line of water ionizers, the Delphi H2 Under Counter Water Ionizer has a gorgeous state-of-the-art faucet control and 9 large, solid electrode plates. This ionizer is the "ultimate" for the best water, quality, price and design! UltraWater BEST filtration ensures you peace of mind. YOUR NEW DELPHI H2 COMES WITH over $80 in FREE GOODIES! Plumbed directly to cold water line, the Delphi H2 gives you the filtered, ionized water you want above the counter. Undersink, in the cabinet, the water ionizer unit is completely out of sight. Above counter faucet includes the ionizer controls - no need to open cabinet to adjust settings.